You have arrived! This is where water cascades, dramatic lighting, large plasma screens, artsy sculptures and plush carpet meet experienced and novice gamers. It may be owned by local Iowans but Riverside Casino & Golf Resort® is not your typical midwest casino - and neither are the people in it. VIP Hosts are here for your every need while you roam 50,000 square feet and 1,000+ games. 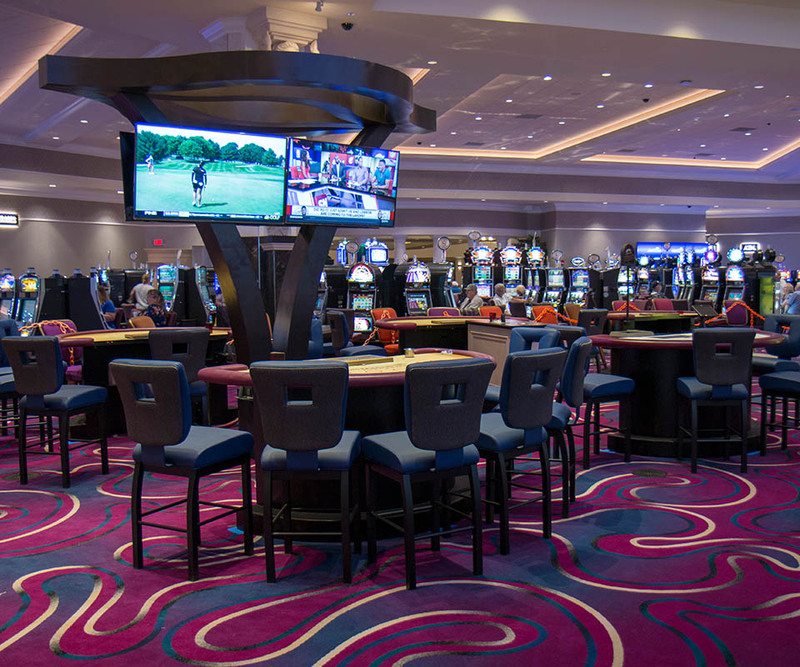 Once you're here, it'll be easy to tell our recent renovations were inspired by Las Vegas' lavish casinos! The current bad beat is: $0.00 as of 1/11/2018. 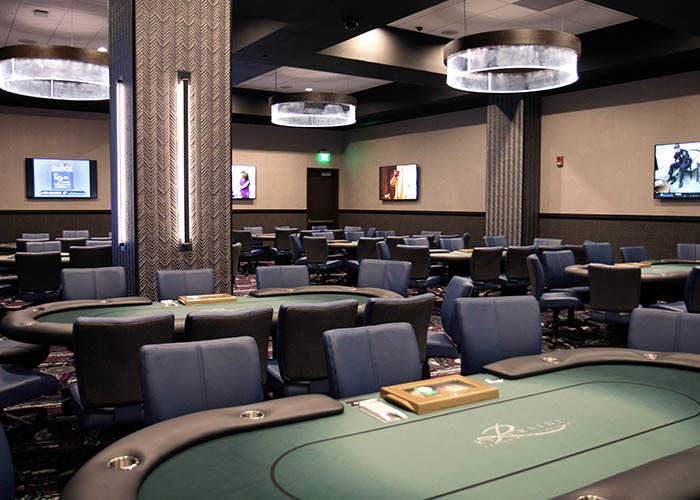 The poker room features 10 tables of heart-pounding, interactive poker excitement. Sit down by yourself and challenge new friends or take on a group of your pals at any of our various poker games. The dealers are friendly and the pots are yours for the taking, so put on your best poker face and get ready to take in your winnings! Players earn points throughout the year by playing in and placing in tournaments. 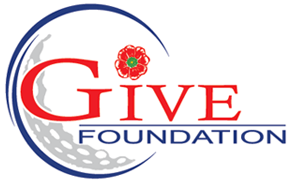 They receive 2 participation points for every tournament that they buy into. If they place in the money, they also receive points for the place that they took. (ex. 1st place-10pts., 2nd place-8points etc,) There are smaller tournaments that take place monthly for point leaders. At the end of the year, the top 120 point earners are invited to a banquet and a seat in our $10,000 Player of the Year tournament. 3 ‐ 6 Limit or higher. Minimum buy in is 5x the big bet. Example for $3 - 6 Limit - Min. buy in is $30 with no max. View a full list of upcoming gaming promotions and tournaments as well as live entertainment, dining deals and special events. Membership in this exclusive club entitles you to special club benefits and privileges throughout our facility. Best of all, membership is free! Congratulations to all jackpot winners at Riverside! Find your face amongst our winners. Our host team excels at taking the best care of very important guests. Personal service is complimentary for all Gold and Blue Resort Club members.